Mojeed has been quiet since he released his sophomore project, ‘In Search Of Higher Frequencies’ back in 2017. His latest release is a music video for “Love Spell”, one of the standout tracks from the short 6-track EP, featuring Nigerian singer, Tesh Carter. Mega directs the music video for “Love Spell”, shot on the streets of New York. 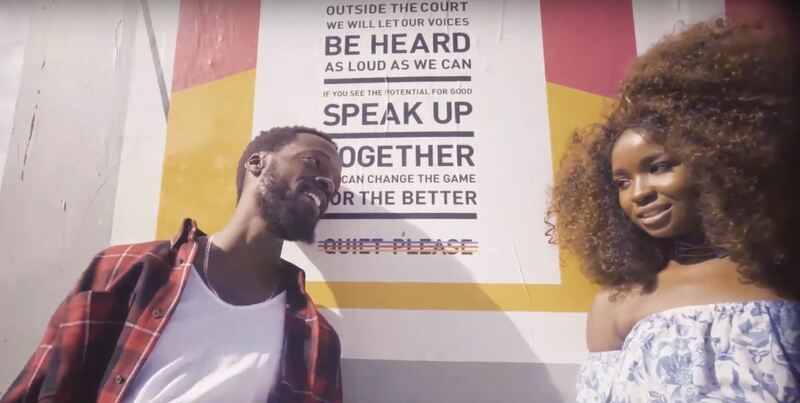 The video highlights Mojeed’s romantic sentiments, setting him up with a love interest who he tries charm with his sweetly humorous rap bars. While the enchanting guitar-led beat gets a visual representation through the bass guitarist featured in the video, following the couple around, Tesh Carter plays herself in the song as she walks alongside Mojeed and confesses her love for him. You can watch the music video for “Love Spell” below.